To respond or not to respond after job rejection, that is the question. What to do after you’ve been rejected. The job search can be emotionally draining and nothing can make it feel more so than when you receive a job rejection letter for a position you really wanted. It can be hard to take, but that doesn’t mean you simply have to accept it and walk away. With that said, there is a time and a place for responding to job rejections, and there is definitely clear etiquette for how to do so. Below is a quick guide to assist you in crafting a response — and also in determining if you really should send one in the first place. Should you respond to job rejection? How badly did you want this position? If you have been applying to multiple companies and to almost anything related to your field, this job rejection message is going to be one of many. What was it about this job – beyond being a job – that you wanted? If you don’t really have an answer, then it’s not the time to respond. Take the rejection and wait for the right fit. How far into the process were you? Generally speaking, if you are only at the job-application phase of the process, there’s no need to respond with a letter after job rejection. Your rejection was due to being screened out or to a strong candidate pool, so chances are, you need to start with analyzing your resume or skill set to determine why that was. 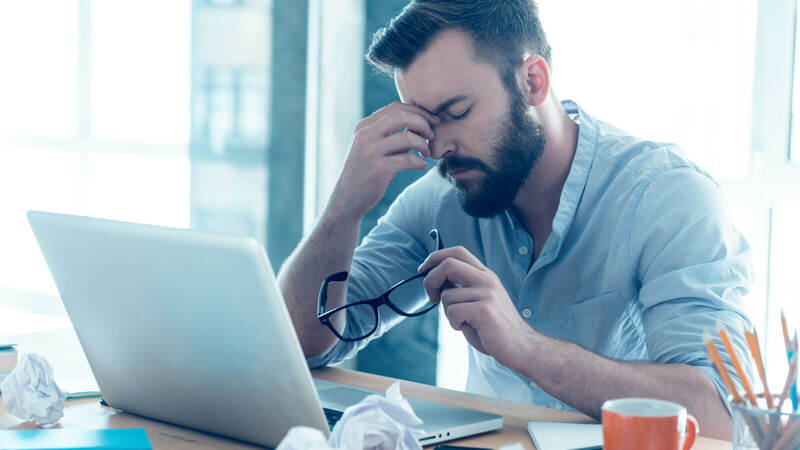 However, there may be times when you feel strongly that you slipped through the cracks, so if your gut tells you something went awry from your submission to the hiring manager’s desk, you may still have a reason to respond. How personal was the job rejection? If you received a generic email, even after an interview, it may not be worth your time to respond with a letter after job rejection. There are a number of reasons for this, and some are based more on time restraints, but if the company didn’t value your application enough to call or to send you more than a form letter, the response may go into a pile unread as well. All of these are only guidelines, as every case is different. I’ve seen some candidates get a response when they’ve been proactive at the early stages of the interview process, whereas others have gone through 5-6 interviews only to never hear a word. Consider your own comfort level and desire for continued contact before you decide to respond. How should you respond to job rejection? Should you decide to reach out, keep these guidelines in mind. Remember the golden rule we were taught as children. If you can’t say anything nice, don’t say anything at all. Remember, this is still a business communication, so keep your message professional. Nothing is worse than damaging a future relationship - and your professional brand. Thank the contact for their time, express your gratitude for the opportunity, and ask them to keep you in mind in the future. Show the employer you value their time by keeping your message short and sweet. You are not responding to beg or to try and change their minds. You are simply leaving the door open for future discussions. Thank them for their consideration, tell them that you enjoyed meeting them regardless, and let them know you hope they will be in touch, should another opportunity that’s a better fit open up down the line. Wrap up the letter after job rejection with the response that allows the hiring manager a chance to reach out to you later. Leave a contact email and number, but don’t attach a resume or add more information. You had the follow-up note for that, and the hiring manager has found the person they want to hire. Think of your message as an opportunity to cultivate a potential future partnership. Leave them to make the next move. It absolutely happens that people are contacted after a job rejection, and you will leave them with a positive feeling about you as a professional if you follow these steps. Is your current resume getting rejected? Let a TopResume writer help.